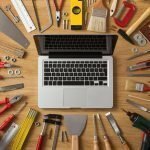 With the verge of mobile technology and web interface, the necessity of desktop environment does not seem losing its appeal. There are many users who want to have desktop native email programs for easy offline use, get the benefit of the vast range of plugins, business mandate or personal preference, see calendar and address book, meeting security needs etc. There are many options available outside for you to choose a free and open source best Linux email client where most of them support cross-platform. 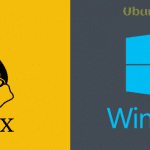 In this roundup, I will share a generic list of Best Linux Email Client with you. For clarification, the features mentioned here are all collected from their respective official site and all the not included especially the basic one. Moreover, this list is not any specific order so to choose the best one, you can check the features and tools it offers and selects the desired one that meets the requirement most. 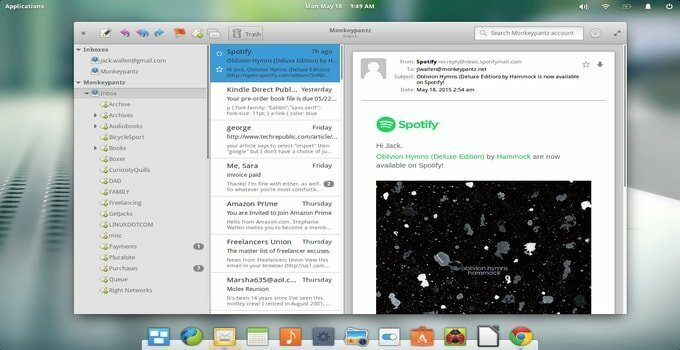 Mailspring is an open source and cross-platform email client for Linux, Windows, MacOS. It’s based on open web technologies with electron, flux and react. Mailspring is faster and demands less RAM and system resources. Its user interface is compact, modern and slick. There are many features available in this Linux mail client including unified inbox, multiple accounts, a lot of themes and layout, shortcut, privacy and security, mail merge, contact management etc. Geary is another lightweight Thunderbird email client alternative best Linux email client available in the market. Geary is a lighter, faster and modern looking simple user interface Linux mail client. It has come from Gnome project like evolution Linux email client and best suited for Gnome desktop environment. I believe you know about Mozilla foundation and its Firefox browser which is lighting fast and patron of open source software. Thunderbird is an amazing open source and faster Linux email client from the same development house of Firefox. It’s a cross-platform, faster, modern web email technologies for using email services. 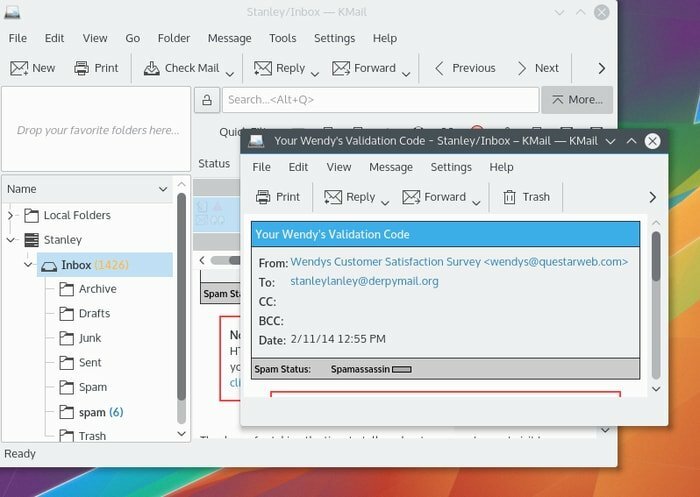 Thunderbird is an older but one of the popular and best Linux email client program available out there. Out of all the common features, it has some notable tools and features worth mentioning chat integration, contacts management, smart folder, large file management etc. 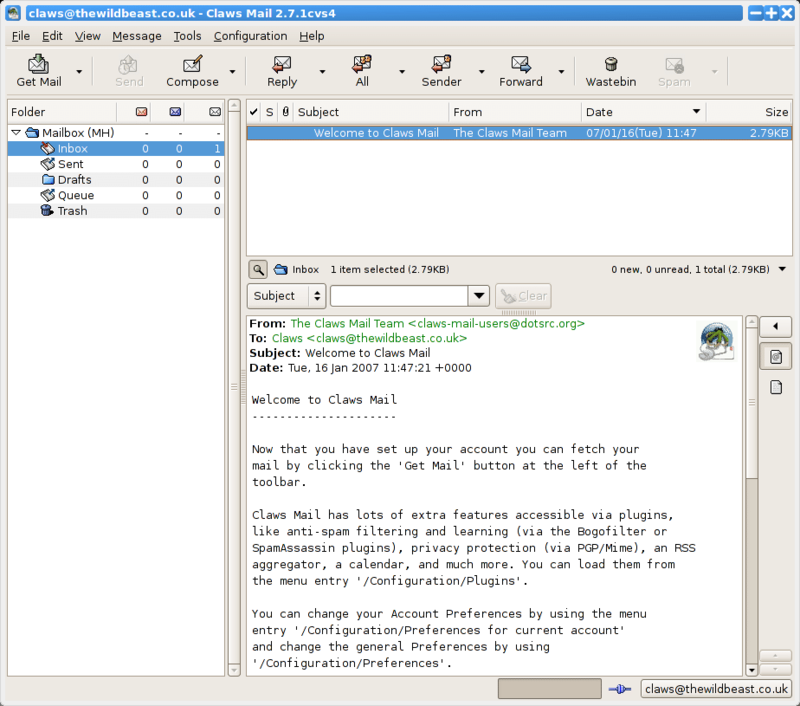 Claws Mail is a GTK+ based free email client for Linux. It’s one of the lightweight fast email clients for all the major OS platforms including Linux, Unix, Windows, MacOS and so on. It provides filtering, external editor support, threaded display and various MH folder. KMail email client is the integrated part of Kontact – users personal information manager developed for KDE desktop environment. Besides all other standard features, it has lot more tools to offer you, worth mentioning solid integration with the Kontact component, powerful search, and filter option, PGP and S/MIME encryption – security and privacy tools, strong spam filters, secure logins and spell checking etc. 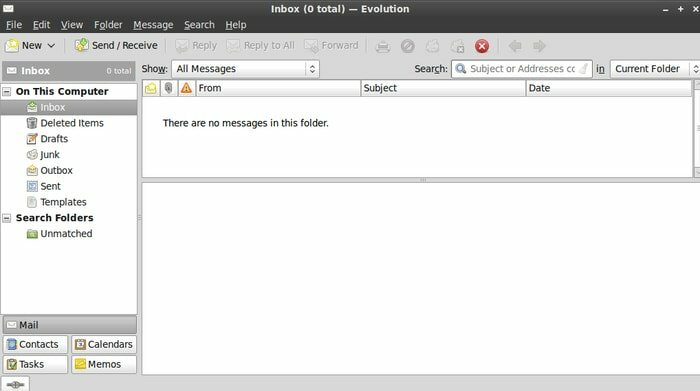 Evolution is one of the oldest and basic Linux email client and information management system with calendar and addresses book functionality. 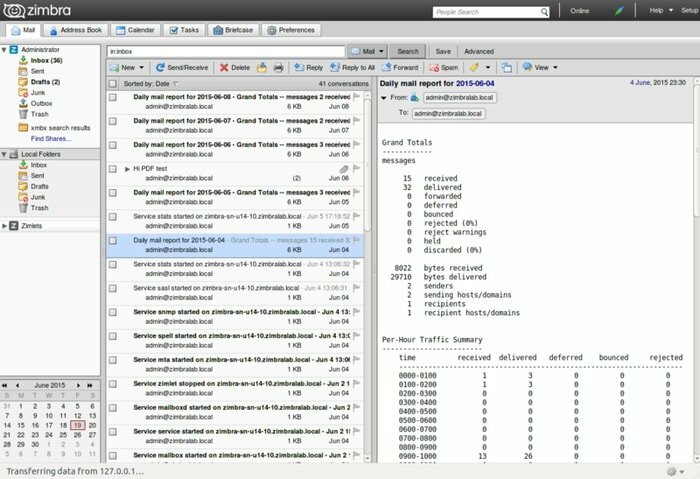 It’s a Gnome project and offers some basic Linux mail server functionality including contact management, task manager, calendar integration, notes, plugins, junk mail filter etc. Sylpheed is a free and open source, simple, a lightweight email client for all the major OS including Linux, Windows, MacOS and Unix-like operating systems. 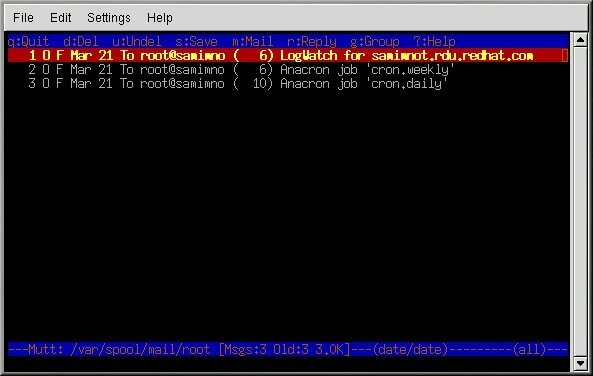 This Linux email client is suitable for both new and power users. It provides an intuitive user interface and designed for the keyboard-oriented task. Zimbra Desktop is an enterprise level full-fledged email client for Linux, Windows, and MacOS. It’s an open source free all in one email program for all your accounts. Zimbra Desktop sync all your emails into the cloud and local system for offline access. This email client sync emails, calendar, notes, and contacts. SeaMonkey is an all in one internet software suite developed by Mozilla. SeaMonkey is a web browser, advanced email and newsgroup feed client. It also offers HTML editor, IRC chat integration, web development tools etc. SeaMonkey uses Mozilla code and considered as powerful as Firefox and Thunderbird Linux email client. Unlike any other Linux email client described above, Mutt is a different one and a lightweight text-based email client for Linux. It’s simple and supports various OS like Linux, MacOS, and Unix based system. As a newbie, you may find it a bit difficult but it offers some great features like support for PGP and MIME, key bindings and macros etc. Which Linux Email Client Gets The Crown? It’s a wrong question that which one is the best? Because it totally depends on users need. 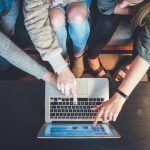 Each one has a set of admirable features and tools that are going to attract a group of specific users. Although, Thunderbird or Geary can be used for personal as it’s very fast, lightweight and provides a balanced performance. And for team or company, Hiri can be a good choice. Do you use any Email Program on Linux or use a web browser? Did I miss any great Linux Email Client in this list? Let us know in the comment section about any missing piece of diamond and share your experience. Mailspring forces you to create a so-called Mailspring ID, which is a no-no for anybody who is concerned about privacy and confidentiality. Having tried Hiri, I cannot recommend it. It would not successfully connect to my Office 365 business account. While working with support, I received one email. Repeated follow up emails from me went unanswered. Though Hiri is not open source, still it’s worth to mention here because of the versatile list of features it offers. Yes, Roundcube is a free and open source webmail client, not desktop-based Linux email client. Outlook is a baby of Microsoft and doesn’t support Linux as usual. It is not open source, thus it does not belong in a list of “free and open source” software. And come on, who in his right mind would use Office 364? You are absolutely right that it’s not open source and free. Moreover, I am getting a bad review for this Linux email client Hiri. Soon I am going to replace it with another one which is effective, easy to use and free. Thanks for your suggestion. Hiri is replaced with KMail Email Client.